If you like Chicago, you will love Chicago Radio Live. No need to download or synch your songs. Listen to music and news radio stations live using your WiFi or data connection. 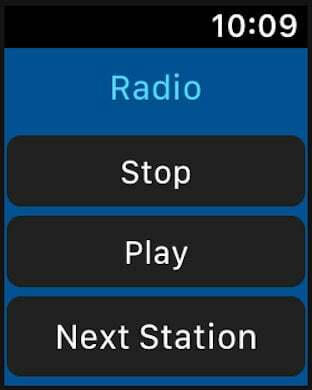 Chicago Radio Live has a simple intuitive "car radio style" user-interface with over 20 great Chicago and metropolitan area radio stations, even some TV audio streams, and more great stations will be added in future releases. It supports multitasking and can play radio stations in the background. Custom stations can be added as well. Some stations may experience an audio delay. Some stations may not work outside the US. Let us know what your favorite radio stations are, and if they are not already included, we will try to include them in future releases. Note that this app only connects to the radio streams already available on the internet and it does not create or broadcast any content. A radio station may choose to remove its stream from the internet temporarily or permanently. NOTE: A station may block certain sports events from its stream. A: Touch the station label just below a numbered station button (1-6) to see the station list.